Why is Italy the one of very few countries in Europe not to have been attacked for the past 15 years? It seems that Islamic terrorist groups have been keeping Italy out of their lethal grip. But why? Unfortunately, this may not hold true for the future. Although it seems likely that Italy may be among the last Western European countries to be targeted. the possibility always exists. And there is no such thing as a zero-risk country. Italian authorities keep repeating this message, especially in response to other Islamic terrorist attacks elsewhere on European soil: that even Italy is at risk, and it’s probably just a matter of time. Making it sound as though there’s a predetermined order! The alert level has remained at maximum for ages. We know we are in the terrorists’ sights, just like all other European countries. Yet things seem to work better, or at least go more slowly here. The feeling is that they are approaching our territory, but for whatever reasons are holding back. Why is that? In the past, Italy (from the late 1990s to the beginning of 2000) was one of the countries most at risk of a possible attack by international terrorism. In Milan there was a group that enlisted mujahideen to fight in Iraqi Kurdistan, where a group linked to Al-Qaida was also active. Plus the Islamic Institute of Avenue Jenner, one of the most important logistical bases for volunteers from around the world who wanted to fight jihad in Bosnia, was located in Milan. 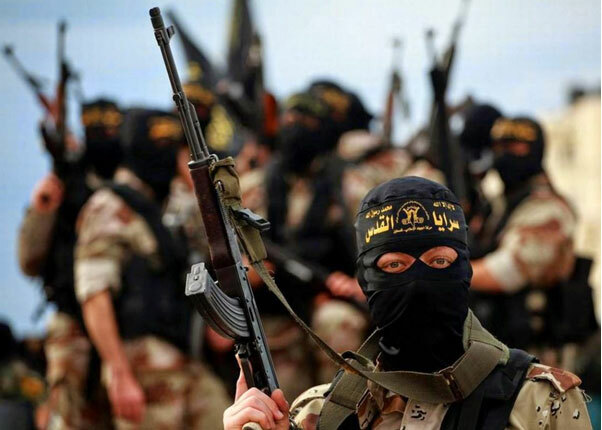 They were defined by the United States Treasury Department as “the main base of al Qaeda in Europe.” And in many other cities in northern Italy, Al-Qaida-affiliated nuclei were created as part of a system that further involved still other European cities and produced false documents. Subsequently, in the first half of the 2000s, the international complexities of Al-Qaida and the efficient maneuvers of Italian anti-terrorism led to the decay of the largest networks of recruiting and financing jihad, leaving room for something else that until now has not been able to conceive terrorist acts or give way to quite compact and extensive terrorist networks on our national territory, despite intimidation attempts against Italy made by so-called Islamic State. It seems that the greatest risks for Italy come from “homegrown” jihadism. This form of jihad often utilizes internet communication, which is usually employed far from the mosques. The first acknowledged case of a “homegrown” terrorist in Italy is considered to be Mohammed Game, a Libyan citizen born in Benghazi who arrived here in 2003. On October 12, 2009, Game tried to blow himself up at the gate of Santa Barbara barracks on the periphery of Milan. He was injured, along with two soldiers. On his computer, the police found 185 files containing the writings of Abu Musab al Suri, one of the most prominent ideologists of global jihadism, chiefly known for his theories on planning resistance without a leader. Game’s case is also important for understanding jihadists who followed on his heels. For example Mohamed Jarmoune, a Moroccan resident of Valcamonica arrested for organizing an attack at the Milan synagogue. And Barbara Aisha Farina, an Italian woman born in Milan who converted to Islam and used various blogs to spread jihadist propaganda. Or Anas el Abboubi, a young man of Moroccan origins living in a small county of valleys north of Brescia, who before being radicalized via the internet was a very famous rapper named Dr. Domino. But then in Italy how do “anti-terrorism teams” tend to work? Perhaps because Italy has always been forced to fight internal (domestic) left and right-wing terrorism, as well as various mafia organizations, they seem to be rather well-protected and in good hands. Although I would not rule out mafia involvement in keeping us from being hit. While any number of assumptions can be made, Italy must nonetheless rely on the data and vigilance of its security forces if we are to be kept safe from attack. This entry was posted on 29 November, 2017 in homepage and tagged Eddie Woods, Elena Caldera. Bookmark the permalink.